The weather can be a little crazy at times! in the contrary I am hoping for cold winds and warm chocolate drinks at my local Starbucks, but with my luck it will probably be around 90* with a high humidity. lol Have a lovely sunny day ! I looks like the perfect fall day! That is an amazing hat! 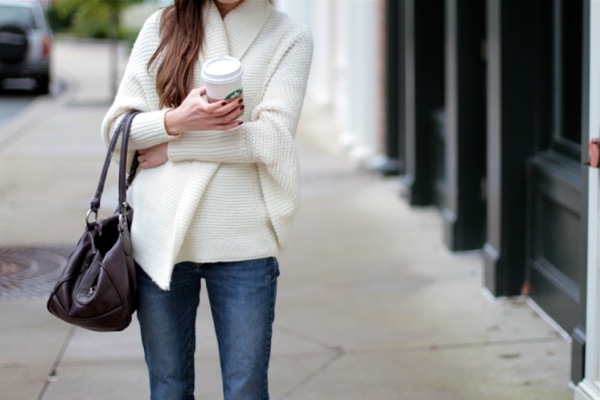 Can't think of a better day to spend a rainy day than wearing cozy knits and sipping starbucks, lovely pictures! You look gorgeous! I love the cozy sweater! Your sweather is awesome!! I Love it! lovely look, I like your nail polish. 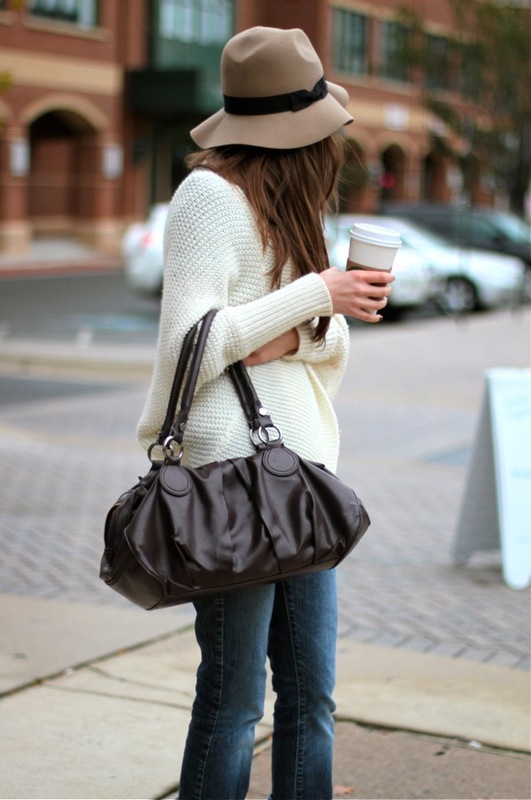 Love this warm and cozy look. 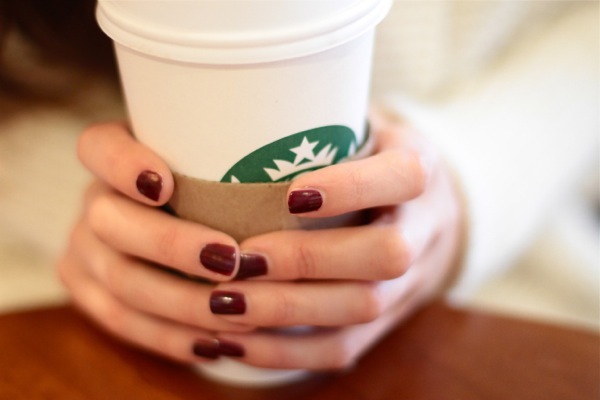 Your nails are the prefect fall color! I've added your photo as my autumn inspiration in my blog :) Check if you want! You look so cozy with your wrap sweater and hat! We're finally getting a bit of rain in San Diego, so I'm super excited about donning a similar outfit real soon! So autumn perfect! Adore the bordeaux hued nails and the floppy hat! i want my fingers to freeze too :) the weather is slowly changing in here. Your hat is per-fect! The weather it's crazy!! we are still on summer with super high temperatures...I love your hat!! can't wait to wear hat's again.. I was freezing this past weekend. Luckily, we are supposed to have much nicer weather all week! You look very comfy, warm and stylish miss El. I too love winter as long as it is not too cold (if that makes sense..haha). Thanks girl for your kind comment. starbucks for the rainy day should be the best! and your knit cardi is just perfect too! Love the pics like so serenity ! I will love if we follow each other ?! We finally got a heatwave in Chicago...while it won't last for long, I am enjoying it! Once we really get into the Fall season, then...it'll be coats, boots, and the whole 9 yards! good you have a more perfectly chic outfit for the gloomy weather?! you seriously look so amazing!! the sweater is gorgeous, and the hat is beautiful!!! Your photos are beautiful! This outfit is so cute! Loving the hat and nail polish colour! !